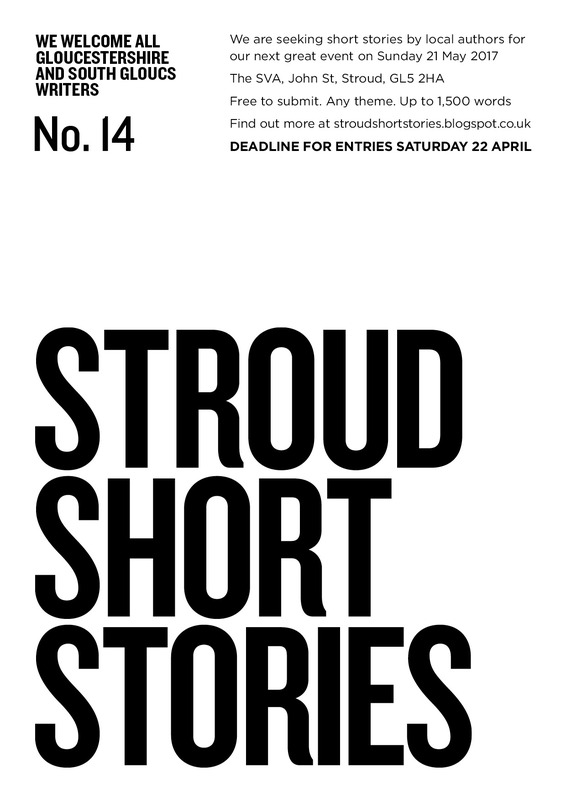 “Proba bly the best short story event in the South West” (Cheltenham LitFest programme), Stroud Short Stories is open again for your story submissions. And will be until 22 April 2017. Ten stories will be selected to be read by their authors at our event on Sunday 21 May 2017 at the SVA (Stroud Valleys Artspace) in John Street, Stroud, GL5 2HA. Doors 7.30 for an 8.00 start. Tickets only in advance as we sell out each time. Ticket info will appear here when available. The Rules and How to Submit are here. It’s free to submit, and the stories can be unpublished or previously published. These stories will be in our next anthology – due 2018. The judges this time are brilliant short story writer Ali Bacon and SSS organiser John Holland. More info on them here.